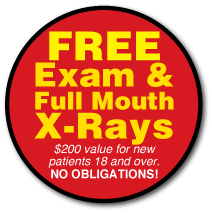 Oral Appliance Therapy is completely non-invasive and painless. It is a mouthpiece, for patients with primary snoring or mild to moderate Sleep Apnea. They are small devices that you wear while you sleep. They are similar in size to an Orthodontic Retainer or Sports Mouthguard. They are very comfortable, easy to wear, and easy to travel with. These appliances can be used alone or in conjunction with other treatments. Oral Appliances work by attempting to prevent the collapse of the tongue and soft tissues in the back of your throat, keeping your airway open to allow adequate air intake. They work to reposition the lower jaw, tongue, soft palate, and uvula. 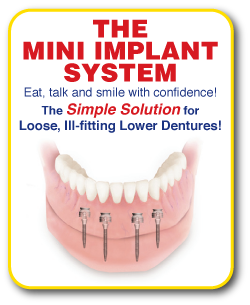 Oral Appliance Therapy involves selecting an appropriate design, and then custom fitting it to your teeth. CPAP (Continuous Positive Airway Pressure) is pressurized air from a bedside machine. The air is delivered through a tube that connects to a mask, covering the nose. The pressure of the air forces and maintains the airway open while you sleep. This is a very successful treatment option, however, it is only a great treatment if it is used! Many people find the masks very uncomfortable and cumbersome to wear. The noise created by the machines can also cause difficulty sleeping for the patient and partner. Also, people find that the machines are difficult to travel with. Sleep Apnea is a life threatening disorder and should not go untreated because you can’t wear your CPAP! We can make a custom-fit plastic mouthpiece for treating sleep apnea. The mouthpiece will adjust your lower jaw and your tongue to help keep your airways open while you sleep. Underdiagnosed and frequently dismissed simply as harmless yet annoying snoring, “obstructive sleep apnea” (OSA) is a very dangerous condition. If you or a loved one snore loudly at night, please have a sleep study done to rule out this potentially fatal condition. Obstructive sleep apnea (OSA) the most common is usually caused when the soft tissue in the rear of the throat collapses and closes completely during sleep. With each apnea event, the brain briefly arouses people with sleep apnea in order for them to resume breathing, but consequently, sleep is extremely fragmented and of poor quality. Risk factors include being male, overweight, and over the age of forty, but sleep apnea can strike anyone at any age, even children. Yet still, because of the lack of awareness by the public and healthcare professionals, the vast majority remain undiagnosed and therefore untreated, despite the fact that this serious disorder can have significant consequences.